If you’re a dark web drug dealer, it’s probably best to take certain precautions if you want to avoid being caught. 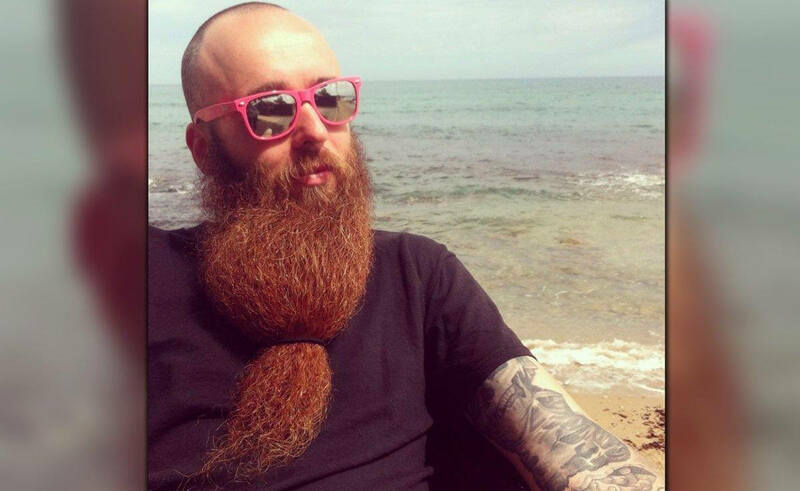 Traveling to the US from your home in France to compete in the World Beard and Mustache Championships, for example, seems like an unnecessary risk, but that’s how one suspected drug kingpin was caught. 38-year-old French national Gal Vallerius stands accused of acting as an administrator, senior moderator, and vendor for dark web marketplace Dream Market, where visitors can purchase anything from heroin to stolen financial data. Upon arriving at Atlanta international airport on August 31, Vallerius was arrested and his laptop searched. US Drug Enforcement Administration agents allegedly discovered $500,000 of Bitcoin and Bitcoin cash on the computer, as well a Tor installation and a PGP encryption key for someone called OxyMonster. Dream Market had been the subject of a multi-agency investigation since February 2016. In addition to his role with the site, agents had identified OxyMonster as a major seller of Oxycontin and crystal meth. Investigators discovered OxyMonster’s real identity by tracing outgoing Bitcoin transactions from his tip jar to wallets registered to Vallerius. Agents then checked his Twitter and Instagram accounts, where they found many writing similarities, including regular use of quotation marks, double exclamation marks, and the word “cheers,” as well as intermittent French posts. The evidence led to a warrant being issued for Vallerius’ arrest. When he made his first visit to America to compete in the “full beard 30.1 - 45cm” category at the Austin, Texas event, Vallerius was arrested in Atlanta before he could catch the connecting flight. He is expected to be transferred to Miami, where he faces up to a life sentence for conspiracy to distribute controlled substances. Nice beard though, thinks its bigger then mine. In case it wasn't abundantly clear already, these deep web money makers aren't very bright. That's why they can't make 6+ figures above the table. On a positive note, he'll have the best beard in the prison system. Theinsanegamer and amstech like this. bmw95, TempleOrion, mbrowne5061 and 10 others like this. Maybe they can make a good Netflix series out of his life as a drug lord, but the series finale would be really hillarious. So we safely assume he won't be flying home to his mates in France anytime soon regaling them with stories about the 'close shave' he had with the law. Using social media pertaining to his crimes??? He's a real genius. TempleOrion, Theinsanegamer and Whitefyre like this. Meth. Fk you. Stay in prison. Beards are for weak chins. Now he will have all the time in the world to focus on growing his beard, and nothing else. "His profile listed 60 prior sales and five-star reviews from buyers. In addition, his profile stated that he ships from France to anywhere in Europe." So.......exactly what business is this of the United States? They list no sales to anyone in the United States so why do they even care? You really need someone to explain this to you??? Can you please explain? It seems as if everything happened physically in Europe and not the U.S.? What right does U.S. have to arrest him? Why couldn't Africa or China arrest him? Please explain. alexnode and SirChocula like this. No, the real point is that he went through US customs with a laptop full of incriminating (and unencrypted?) information. Without that the Feds may only have had some stylistic writing similarities as evidence of his identity. Got him by the short and curlies too, it seems. TempleOrion and Uncle Al like this. Hmmm .... Exactly how do the Feds plan to make this stick? He doesn't appear to be a drug kingpin with only 60 sales. No proof of an actual sale; just talk in an online place .... no narcotics bought by an undercover agent. No victims to testify against him. Everything appears to be supposition and hearsay. And nothing took place in America. I bet he walks free in our liberal court system. Sounds like the IT guy who sold a bit but they are trying to get to the big fish. I guess if you said 6 million transactions that could be a kingpin.